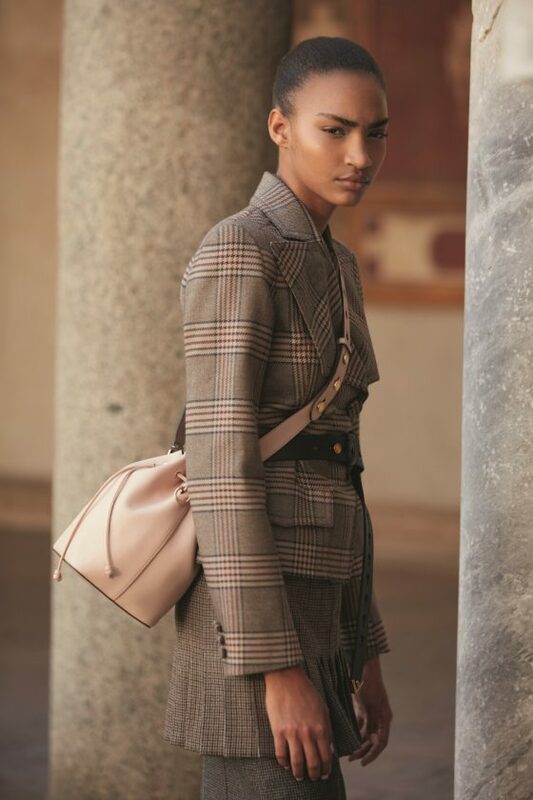 The new Fendi Mon Trésor maintains the fashionable yet tender attitude and shape of its baby sister presented in the Resort 2018 collection, yet in a larger size, perfect to tote all woman’s day to day essentials whilst looking elegant and contemporary. 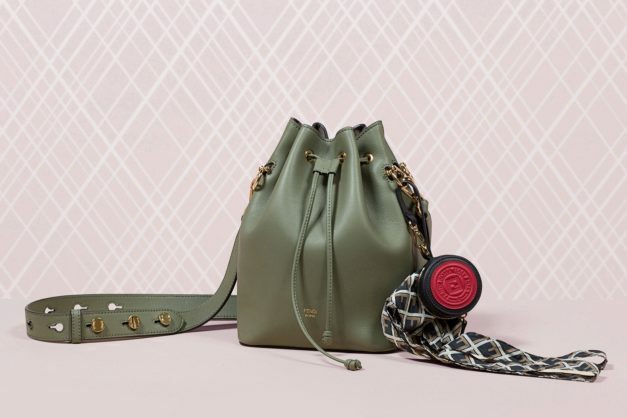 From the French word ‘trésor’, the name of this bag recalls a treasure, every woman’s very own treasure that now grows up into a new format, showing a modern eye on functionality which is enhanced by the adjustable and detachable double strap and drawstring fastening for a casual and urban cross-body wear. The new version of the bag has been created in plain elegant leather, extremely smooth at touch, available in a feminine palette which includes black, ivory, blushing pink, red and moss green. The Mon Trésor has also been declined in bicolor variants – black with brown and ivory with brown – peppered by a contrasting Fendi Stamp round logo. A special version of the bag with the Fendi Stamp is also available in iconic glazed FF logo leather in the wake of the logo mania comeback. 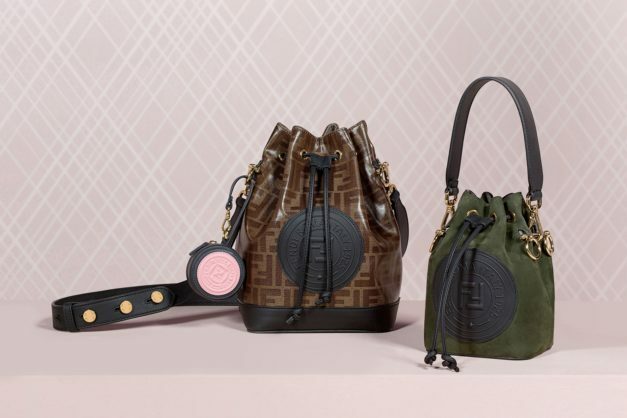 For a final touch, the bag features gold metal rings and F is Fendi mini round logos that enable to attach all your favourite Strap You, Mini Strap You and Fendi bag charms. Available in Fendi boutiques worldwide and on fendi.com from end of August 2018.